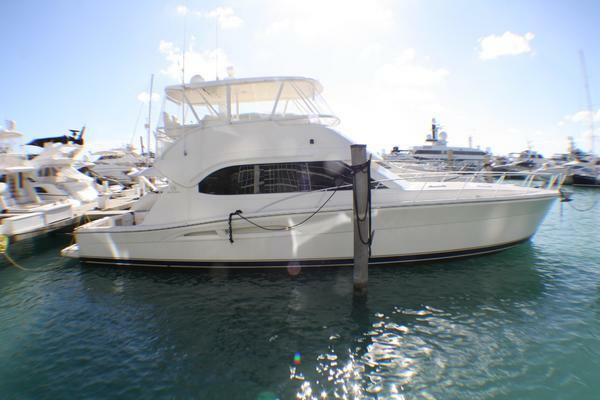 Huge price reduction owner has sight set on new boat!! All reasonable offers will be considered!! Excellent interior layout and the ease of the molded steps to bridge make this Luhrs a must see if you are looking for a comfortable, reliable Sportfish. CAT C-12's, with services up to date make this a turn-key boat! Furniture: Main Salon features an L-shaped sofa with storage. Galley features an L-shaped sofa with storage and an adjustable wood table. -Banks: (4) 8-D 12V batteries located to starboard in lazarette & (1) 12V battery located below flybridge helm console.